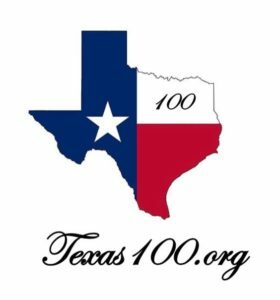 Texas100 – OUR voices must be heard at the State and Federal levels! OUR voices must be heard at the State and Federal levels! By combining their efforts these two organizations are dramatically increasing in numbers, influence, connections, networks, and budget…all pulling in one direction. This is a big leg up for both organizations and for the real estate investing community in general. In an effort to fund, once and for all, the lobbyist and the efforts of these two fine organizations, in 2018 we are stepping up to build a force of Texans at least 100 strong. …and the Texas 100 will be relentless in the protection of our real estate investing industry! Once the Texas 100 is going strong we will ask each member to bring on one new committed RE investor. We will be 200 strong before the end of 2019. This is how we do our part for the TLDA and SFC. If YOU chose to become a committed member of the “Texas 100” It is imperative that you call this number (210) 625-4300 from your cell phone. By calling this number, you will be automatically put on a text distribution list and be informed of the critical news of the day. This is how the Texas 100 will communicate with YOU in real time. If you wish to be removed from this text distribution list, simply reply to any text with the word “STOP” and you will be removed immediately. You may NOT consider yourself a land developer. You may NOT consider yourself an Owner Financier. You may not even be from Texas…but understand this…we are all creative real estate investors and we ALL need a regulatory watch-dog to let us know about rumblings in the legislative halls, pending proposals, and pending legislation and regulation. It can happen to YOU! First it was contracts for deed and then it was lease options, lately flipping contracts got regulated, and today seller financing is on the table. Don’t wait for regulators to find YOU and YOUR strategy because by then it’s too late – we need to organize now! We have to hear about things that are going to affect our industry, and we need to hear about them waaaay in advance! If we can get advance notice, we can effectively present our views, and have our voices heard, at both the state and federal level. It makes all the difference. This organization was formed in reaction to the passing of Dodd-Frank and the over bearing regulatory issues affecting real estate investors when it became undeniably apparent that OUR seller financing industry was being affected at the Federal level. WHY DID THESE ORGANIZATIONS COMBINE? In order to be effective we must first have an influence at the Federal level. This is the role of the TLDA and their lobbyist, Chuck Rice. Once we’ve been heard at the federal level the SFC and their lobbyist, Matt Keelen, can take over and affect change at the state level. TOGETHER, we work on the issues of the day…and believe me, we have issues to work on! What’s been resolved, what pending, who are the key players, what actions should we take as individuals, what are the time frames, and how do we effectively word our conversations and letters to those in positions of influence. That comes with knowing that YOU are part of improving and protecting an industry that does so much for so many. How Do YOU, As A Creative Real Estate Investor, Help Those Around You? • Investors, just like YOU, have a tremendous and immeasurable effect locally and nationally. • Independent Real Estate Investors are instrumental in the rejuvenation of deteriorating and dilapidated properties that scar our communities and plague the inner city. Recent regulations have discouraged traditional lenders from wanting to loan on inexpensive properties. • Independent Real Estate Investors help collect past due taxes necessary for municipalities to function and provide vital infrastructure; schools, fire departments, etc. • Independent Real Estate Investors increase the assessed property tax evaluations on hundreds (If not thousands) of properties for years and years to come. Again, providing municipalities with the income to provide infrastructure: schools, fire departments, etc. • Independent Real Estate Investors create jobs. Again, creating tax revenue on every check paid out to every contractor, on every product purchased, and every permit obtained. • Independent Real Estate Investors help private lenders earn a significant better rate of return backed by a real asset. Our nation of “Baby Boomers” are struggling to make a decent rate of return, backed by a tangible assets (known as real estate). Our nation of elders deserve a choice other than that of living by the Wall Street ticker tape and/or 1% (+/-) CD rates offered by banks or government backed securities. Not only can those private lenders be well served by collateral backed investments, they also pay taxes on “Interest Earned” which, again, serves the communities around them and the federal government. • Independent Real Estate Investors, themselves, are able to make a decent living. Some of the Independent Real Estate Investors we know are among the most benevolent entrepreneurs we know; not only do they make a respectable living, those that are successful give to their churches, their society, and those around them in need. • Independent Real Estate Investors help those left out by traditional lending institutions, move from being a potential lifelong renter, into the role home ownership. Home ownership is essential to the preservation of this nation’s middle class. As an industry, we must recognize the need to deter those who prey on the weak and/or take advantage of the less educated or less astute. Some regulation and oversight is NOT a completely bad concept, however, we need to advocate for reasonable laws and regulations that DO NOT eliminate all the good we can do for our communities and our nation. It is for all these reasons we respectfully ask that YOU join forces with US for a fair and reasonable set of standards. Please join us in our effort. If YOU chose to become a committed member of the “Texas 100”, it is imperative that you call this number (210) 625-4300. By calling this number, you will be automatically put on a text distribution list to be informed of the critical news of the day. This is how the Texas 100 will communicate with YOU in real time. If you wish to be removed from this text distribution list, simply reply to any text with the word “STOP” and you will be removed immediately.